He may have privately met with Vice President Osinbajo on Monday, but Borno South senator Ali Ndume is not giving up his ambition of becoming the Senate President when the ninth National Assembly is inaugurated in June. 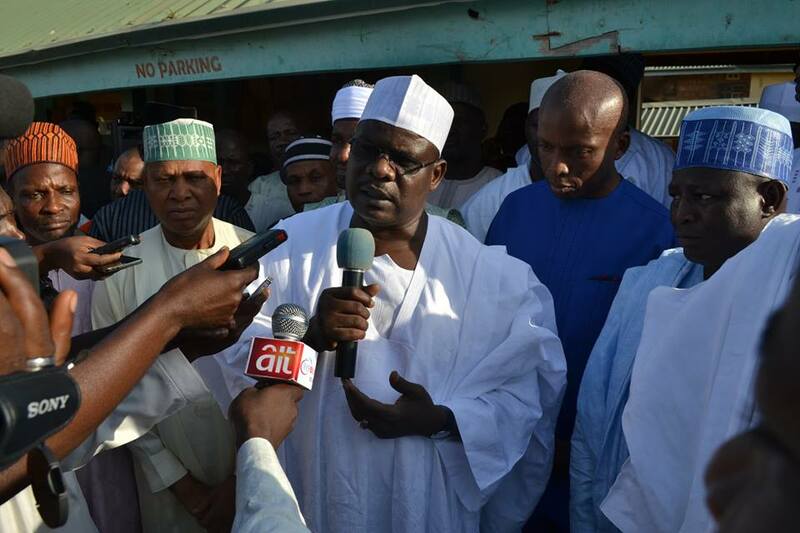 Ndume, a former Senate Leader, has so far rebuffed all efforts of the All Progressives Congress (APC) to make him withdraw for Ahmed Lawan, the Yobe North senator chosen by the party. Even Bola Tinubu, the National Leader of the party, has tried and failed, while lead backer Governor Kashim Shettima of Borno State stylishly avoided being caught in Maiduguri for a meeting with visiting pro-Lawan senators over the weekend. Ndume declined to speak with the media as he arrived at the Vice-President’s office for a meeting on Monday, and did the same on his way out. But when asked by State House correspondents if he had agreed to withdraw from the race, he couldn’t help replying: “Me? Step down”? APC is desperate to avoid a repeat of the 2015 scenario, which saw Bukola Saraki enter an alliance with Peoples Democratic party (PDP) senators to emerge Senate President against the party’s wish. As a consequence, Ike Ekweremadu, despite being in the opposition, emerged Deputy Senate President. At the time, Lawan was also the party leadership’s choice.